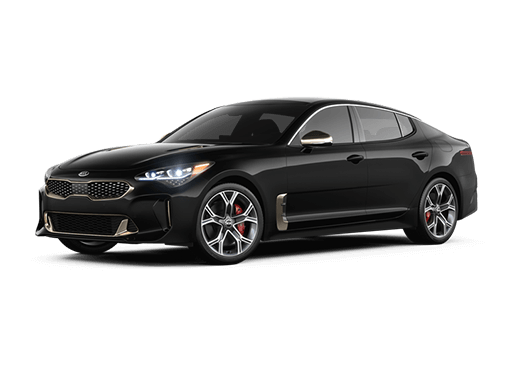 A vision over half a decade in the making, the Kia Stinger is a smart, sleek grand tourer boasting track-tested power and performance with a distinct style to match. Boldly beginning as a concept vehicle in 2011, the Stinger’s journey to the consumer market has been a gauntlet of engineering and evolution, one that’s made the Stinger the expertly refined fastback it is today. 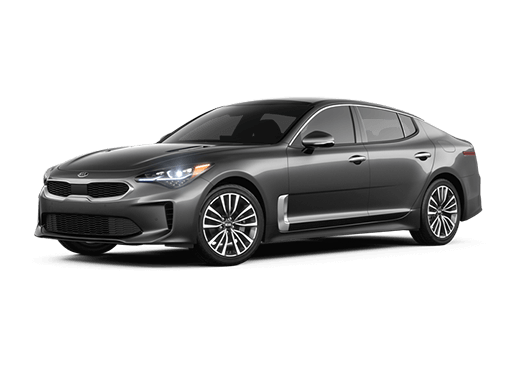 Two twin-turbocharged engine options of up to 365 horsepower and 376 lb.-ft. of torque alongside Kia’s next-generation 8-speed automatic transmission culminate in a blistering 0-60 mph time of 4.7 seconds. Available in five trims, the Stinger lets you tame the road your way with as few or as many options as you like. 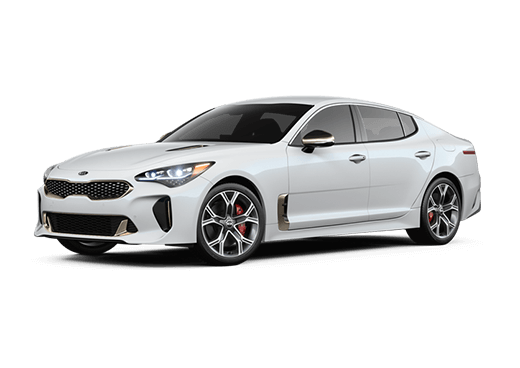 The base model Stinger 2.0L offers a 255-horsepower twin-turbocharged engine and minimal styling, while the top tier Stinger GT2 roars to the forefront of the lineup with its 3.3-liter 365-horsepower twin-turbo, bolstered by a shift-by-wire gear selector for a frenetic drive with masterful control. 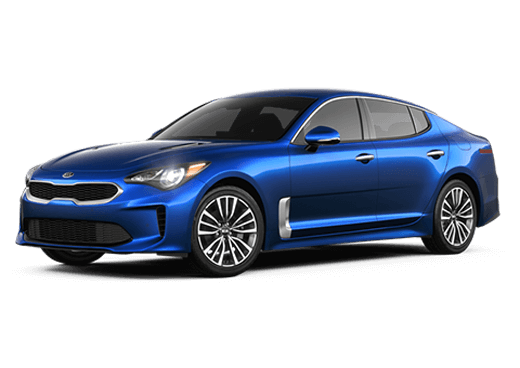 Proven to please in any incarnation, the Kia Stinger is a luxury sedan whose performance elicits something greater. 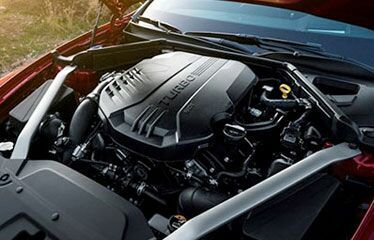 Available in 255-horsepower standard and 365-horsepower on upper trims, twin turbochargers on each engine promise precise, refined performance that abandons the typical to the rearview. 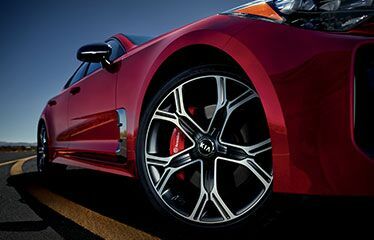 With a resonant roar that announces its entrance, onlookers will hear the Kia Stinger long before it tears into view. 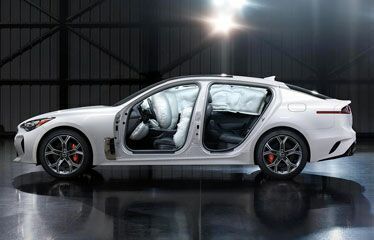 Inspired by the Kia GT concept, the Stinger’s look has been improved and refined ceaselessly with no detail neglected. From the perfectly sculpted lines of its aerodynamic contours to the aggressive expression of its signature tiger-nose grille, the Stinger is a work of art, and custom exterior hues, interior trims and available stylings grant you the freedom to interpret it. Power like the Stinger’s demands improved safety to compensate, which is why it’s built on a reinforced frame with strategically placed Advanced High-Strength Steel panels for a light, strong and rigid body. 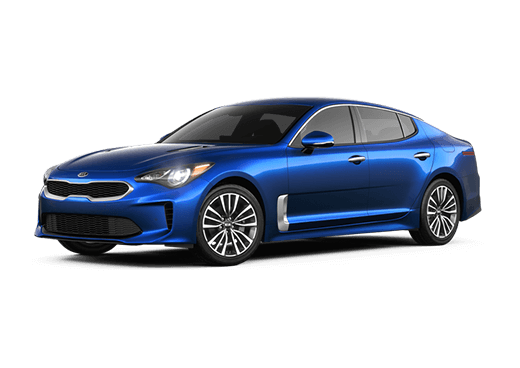 Advanced safety features inside and out including a Traction Control System, Cornering Brake Control and Hill-start Assist Control ensure the Stinger’s power is never misused, and always under your authority.